I am spending a few days in Sorrento for the Easter holidays, the place where I got married about nine months ago. Everytime I come here, I feel at home (in spite of the internet coverage issues I am experiencing outside the hotel !). The landscape is breathtaking, the food is excellent, usually the weather is fine. Well, I said usually...it's been raining all day long and I am so annoyed by that, so I am stuck in my hotel room and I thought about showing you yesterday's outfit, when weather still was pretty good !. I have finally used my new studded loafers bought from Carla G. and went for a boyish look wearing new skinny jeans from Kocca, leather jacket from Elisabetta Franchi Celyn b., a check shirt from Pull & Bear, Moschino belt and beloved Balenciaga City bag. The sleeveless hoodie is from Imperial. Not my usual look but I could say I was happy with the result...happy and extremely comfy !. I also think a bit of a "boyish look" can turn up being extremely feminine, what do you think about it ?. Sto trascorrendo qualche giorno a Sorrento per le vacanze Pasquali, il luogo in cui mi sono sposata un po' più di nove mesi fa. Ogni volta che vengo qui, mi sento a casa (anche se ho problemi a trovare copertura internet fuori dall'hotel !). Il paesaggio è da lasciare senza fiato, il cibo eccellente, di solito il tempo è mite. Beh, ho detto di solito...sta piovendo da ore e ne sono infastidita, così, bloccata nella mia camera di hotel ho pensato di mostrarvi subito il mio outfit di ieri, quando il tempo era ancora buono !. Ho calzato finalmente i miei mocassini borchiati comprati da Carla G. e optato per un look un po' maschile indossando nuovi jeans skinny di Kocca, chiodo in pelle di Elisabetta Franchi Celyn b., una camicia a quadri di Pull&Bear, cintura Moschino con la mia adorata borsa Balenciaga modello City. La felpa smanicata e con cappuccio è di Imperial. Non il mio tipico look ma devo dire che sono stata felice del risultato...felice e anche molto comoda !. Trovo inoltre che un look un po' "da ragazzo" possa risultare estremamente femminile, voi che ne pensate ?. Leather jacket: Elisabetta Franchi Celyn b. How are you spending these days ? I hope you're relaxing and having fun. I wish all of you a Happy Easter and hope the weather is gonna be nicer cause both me and my hair will be happy if it goes less humid, LOL !. Remember you can take part in Romwe Easter Giveaway, open for everyone until April 20th !. Come state trascorrendo questi giorni ? Spero che vi stiate rilassando e divertendo. Auguro a tutti una Buona Pasqua e spero il tempo sia migliore perché se l'umidità diminuisce sia io che i miei capelli ne saremo contenti LOL !. 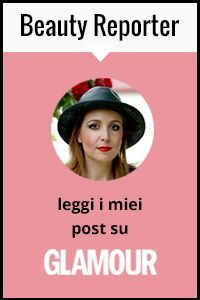 Vi ricordo il Giveaway di Pasqua di Romwe, aperto fino al 20 Aprile !. What do you do on your weekend of pure relaxation? This is what I brought on my weekend off! The place looks awesome and you look so relaxed! Oh! Fun! I LOVE Sorrento, one of my favorite places in all of Italy! (that I've traveled to at least) :) Have a wonderful Easter and such a sleek, chic look! Wow!! you look great!! I love your bag!! This outfit looks cool! LOVE it! That is great! I hope you have a wonderful time! Love this outfit. The plaid is so cute! great look loving that Leather jacket: Elisabetta Franchi Celyn b.
I like the combination of a shirt .. love the cage! I love the bag and the shirt is so cute!! This is such a great location. I like your belt and jacket. Stai proprio carina vestita così! Sai che un giro con quei mocassini me lo farei volentieri??? cute shirt and i love moschino belt! such a lovely, laid back look! love the balenciaga bag and moto jacket! you look great! I love this boyish look on you! It's so chic...that leather jacket fits you beautifully! The shoes are amazing too! Ahh Sorrento, what a wonderful place. Someday we will return to Italy for a long visit - and I will be most definitely hunting you down for a happy meet-up!! edgy and sophisticated all in one. I really like the plaid with the leather!!! and can't leave out the Balenciaga!! Love your casual look - really nice...! those loafers are great! i love how pared down chic you look. Following each other sounds great! I didn´t follow you on GFC as it didn´t work :( But therefore I´m now following you via Bloglovin´ and I liked your facebook page with my facebook page "Clothes and Camera"! I looove your leather jacket !!! Thanks so much for stopping by my blog really appreciate it. To be honest i'm tempted to buy the black Jeffrey Campbell's purely because I will wear them more but I prefer the turquoise ones! love this! and love the blog so much! i'm having a giveaway for brand new hair extensions, if you are interested make sure to check them out, girl! have a great easter! that´s such a great look, scrolled down a few of your posts and you have immense sense of style - every single outfit is flawless, chic and classy yet stylish! super love the leather jacket and the belt and you look really awesome :)) happy easter! Great combination! Love mix denim and tartan shirt with studded loafers!!! I hope yout follow me back..